You shop around, get ideas, talk to friends, family, co-workers, forum friends, chat room buddiesa¦then you choose the one that sounds best and works within your budget and sign up. - You lose some weight. You gain some weight. - The food choices start to bore you. - Youad rather count sheep than calories and put the little weighing gadgets back in the drawer. - Everyone who thought you could stand to shed a few pounds, even recommending diets for you to choose from, are now saying things that trip you up like, a?Oh, you donat need to loose any more weight.a? Or a?Itas OK to eat a Big Mac and French fries this time.a? - You quit - -for nowa¦fully intending to pick up the program next week. OK, next month in reality. Or next year. OK, next LIFETIME. Well, youave clicked on the right site! No need to turn back now. Life can really bite. At any time. And at any age. - Every time your mom, grandma or great aunt catches you even taking a nibble out of a piece of cake, she says, a?Donat eat that! You could become a diabetic!a? - If you donat clean your plate, you shouldnat have dessert. 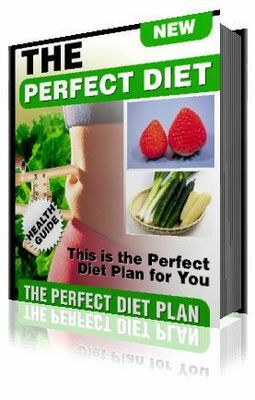 - Once you quit your diet plan, youall gain all the weight back you lost. And weare inviting you to take charge of your own unique diet plan and learn more now about how to tailor it to suit your own, individual needs, even if health issues pop up along the way. Get help from us while staying in charge of your own diet and foods. Download our research and get help today to avoid further dietary goal set backs, ridiculous head games and old wivesa tales, and learn what the Perfect Diet is for You. * A healthy diet goes hand-in-hand with healthy weight management. No pain, no gain, right? Wrong! * Individual activity and dietary goals depend upon each personas health and weight goals and issues. * Depending upon individual health concerns and issues, food choices can affect body and mental health. Then grab our latest research, jam-packed into an easy-to-read format, available instantly upon payment receipt, full of successful solutions that have been tried and tested by professionals, by real experts in the healthcare industry. Then select only those choices that fit into your own unique lifestyle, based on your own health, fitness plans and budget. No fees are required for participation. No experience is necessary. No special prepackaged foods, weighing gadgetsa¦nothing is needed. Learn about basic weight management. No pain here. Search through our list of common health disorders from A-to Z and see which dietary solution is preferred. Yours not on the list? We tell you exactly where to turn for more info. Learn about popular subscriber programs available today for dieters for short-term, long-term or supplemental help and information. Learn about organizational programs available today for dieters for short-term, long-term or supplemental help and information. Enjoy our convenience food tips for hectic days, busy schedules. Go out in style & have some fun with our social eating and traveling tips. Learn to handle diet stress while being on the go, too. Get help with basic meal and menu planning. Clip coupons, spice up your family life.